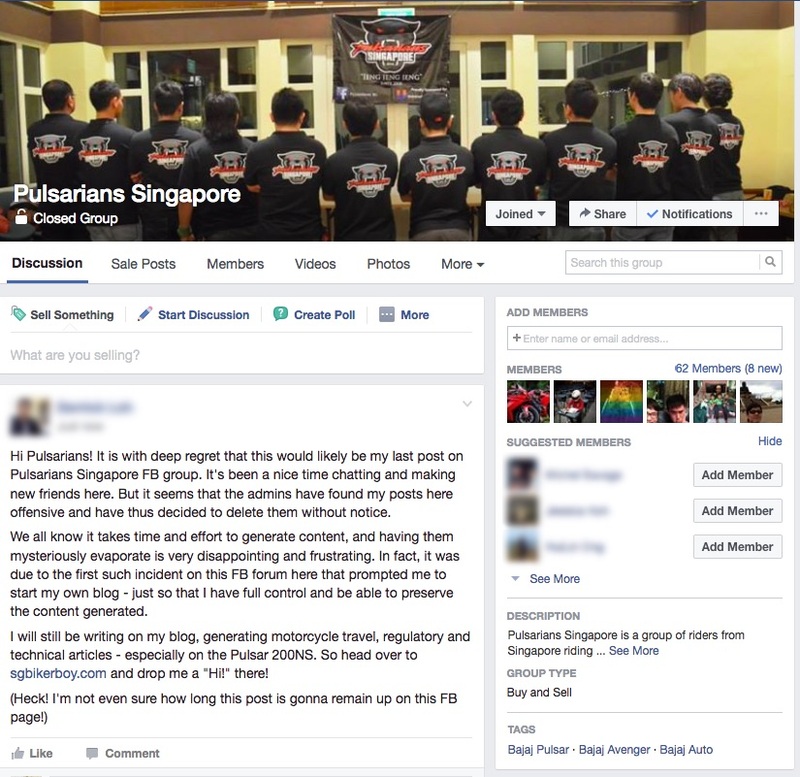 You see, when I first got my Pulsar 200NS last year, I joined the Pulsarians Singapore facebook group. In my excitement, I admit that my posts there have been rather unconventionally long (Singaporeans call it “lor sor”, or “long winded”). Then I suddenly realised that my posts have been mysteriously disappearing – deleted by the forum admin(s). Woooosh! Content gone! Evaporated into thin air! Of course, that was disappointing. But that incident made me realise that I have to OWN the content and WHERE it’s being held. And so this blog started its life – bought the domain name, found a host, and hosted it myself. This way, I have ownership of the content AND the content’s container. That was in 2016. And I had let it pass. Then it happened again. My content evaporated on the Facebook forum. And what did I share that was deleted? The new tiered-ARF tax structure for motorcycles that was recently announced. In any case, I seem to have worn out my welcome there, and should flee before becoming a pest. 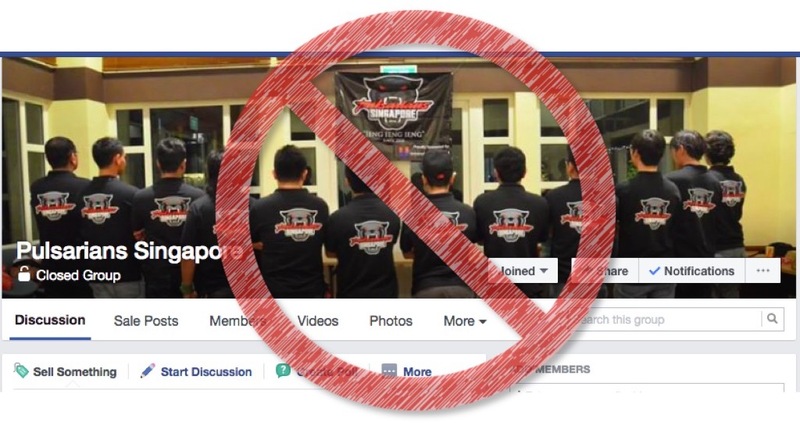 ← Singapore Introduces Luxury Tax on Motorcycles ← Lupromax, really? Why you so scared?